Hazardous Tales #5 cover revealed! Okay, gang. I've been teasing you about this for months. No more. 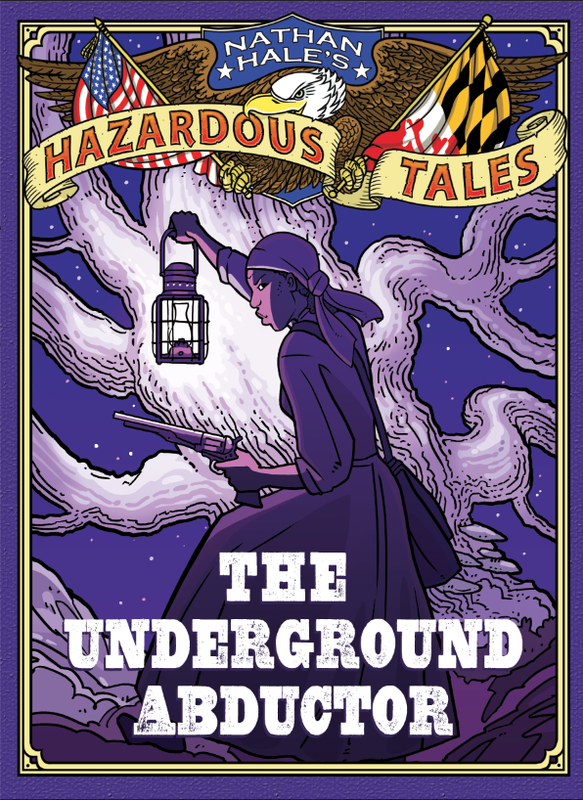 Here it is, the cover of Hazardous Tales #5: The Underground Abductor. The flag on the right is the state flag of Maryland, which is where a lot of this book takes place. As you may have already guessed, it's about Harriet Tubman and the Underground Railroad. The Underground Abductor comes out in March!